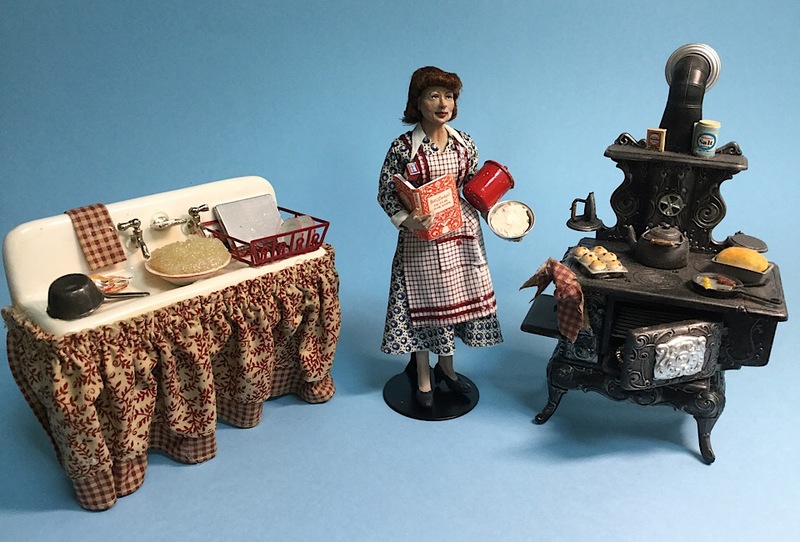 We aim for the unusual and unique dollhouse miniatures! 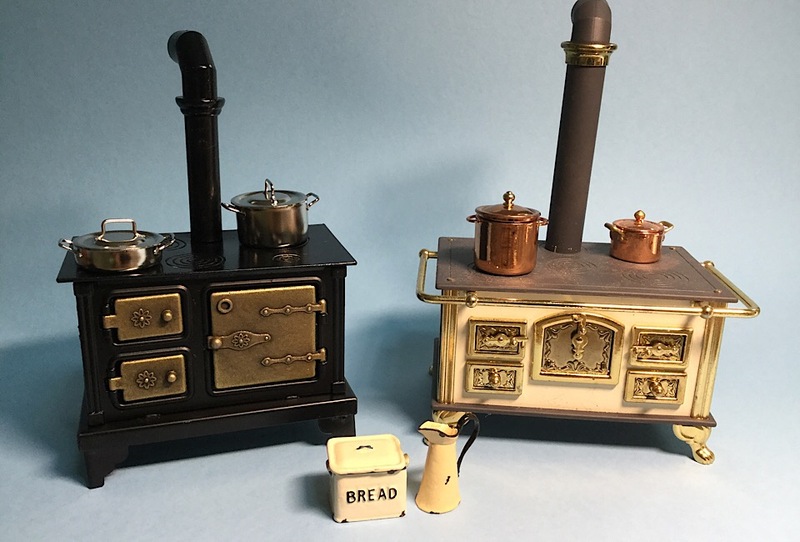 You will find Artisan made dollhouse miniature furniture and accessories from various countries. Also, miniature character dolls, hand blown glassware, kitchenware, foods, vintage and laundry items. 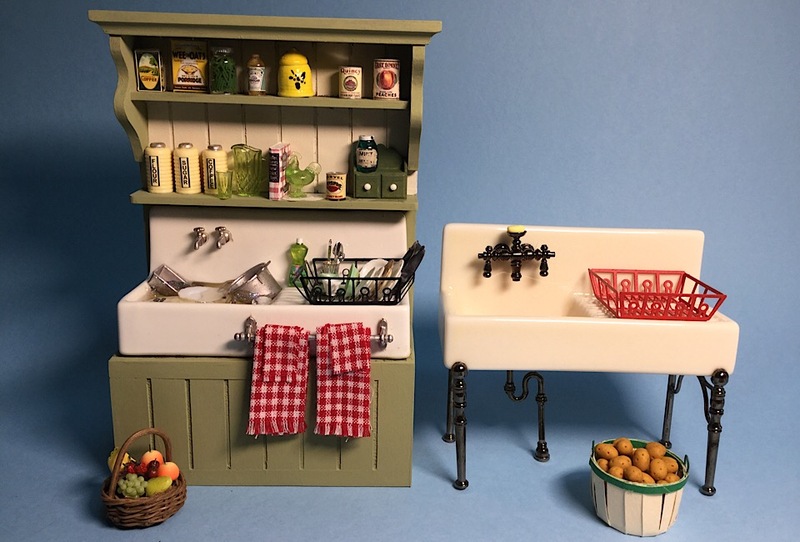 We love the vintage 1940's-1950's kitchen and laundry items, so you will find dollhouse furniture and accessories that are distressed and look well used, but still have a certain charm! 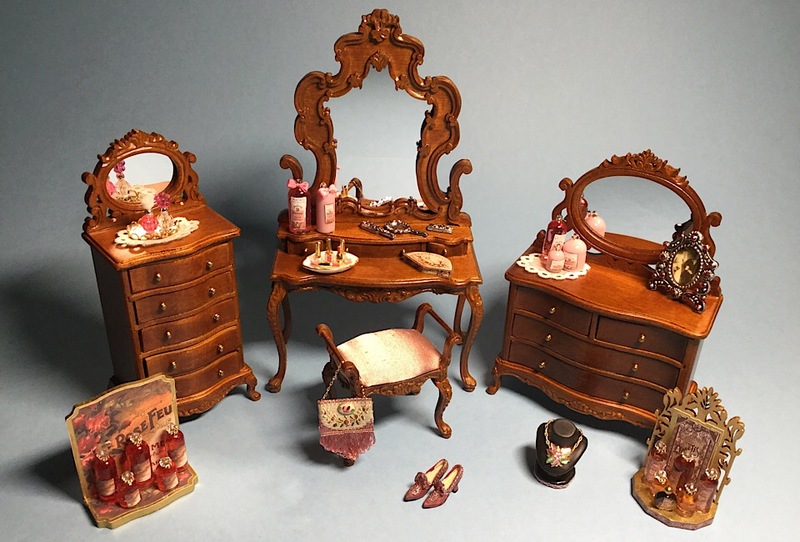 You will also find Bespaq dollhouse furniture, miniature jewelry, perfume displays and flower arrangements. We carry a nice selection of artist made miniatures. This is only a fraction of the artisans we represent. 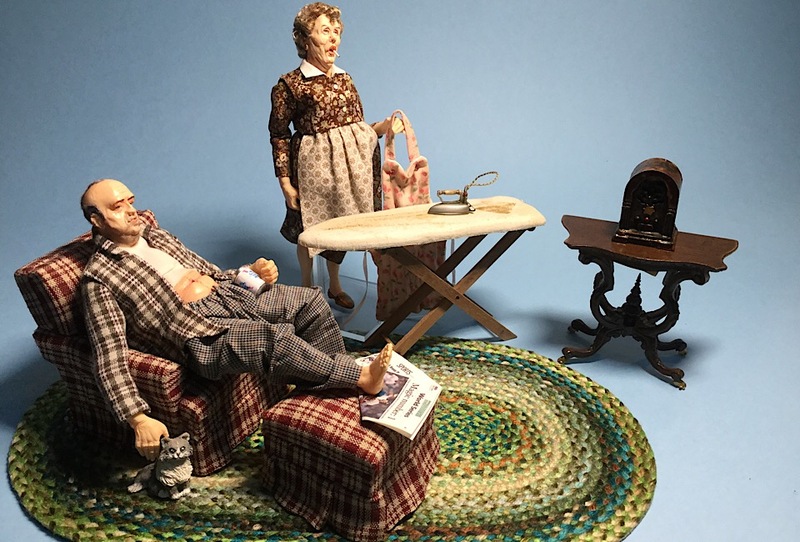 Our hand-sculpted character dolls by The Colvin Studio have astonishing realism and quality. 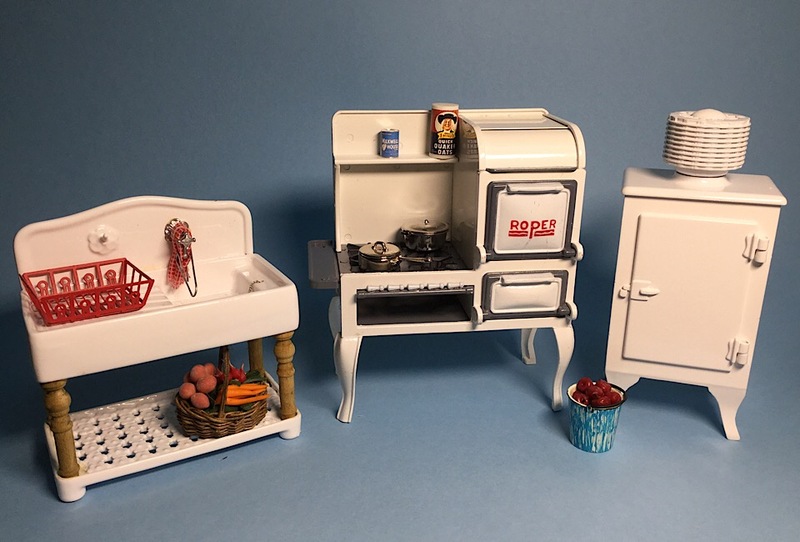 These character dolls will add life to your dollhouse! You will be amazed at the glassware by Ferenc Albert in the Old English Hobnail and the Diamond Thumbprint Patterns. We have miniature foods by several international artisans including Angie Scarr and Country Contrast. Dollhouse furniture and accessories by Sir Thomas Thumb and wonderful handmade Windsor Chairs by Bill Clinger. You will be delighted at the realistic dogs, cats and other pets by Fine Design and books by Jean Day. Don't forget the porcelains by Valerie Casson and Vince Stapleton. 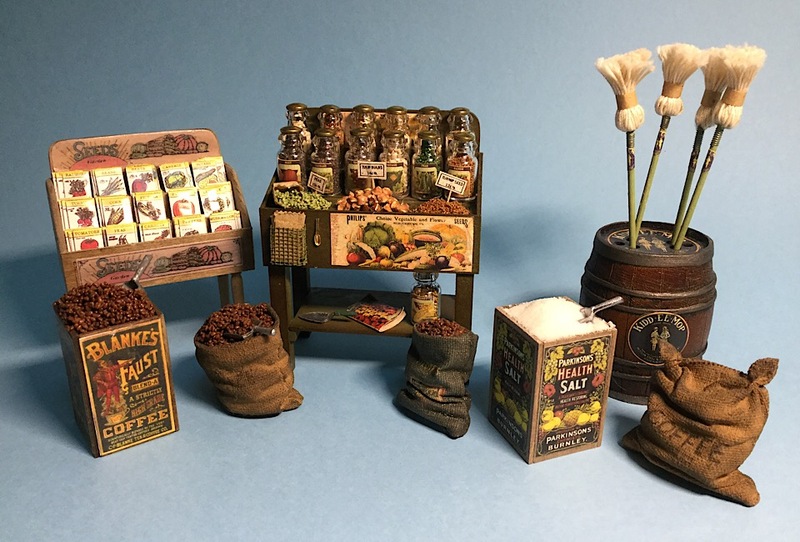 We also have miniatures from several great artisans who do miniature accessories for your workshop, garden and garage. 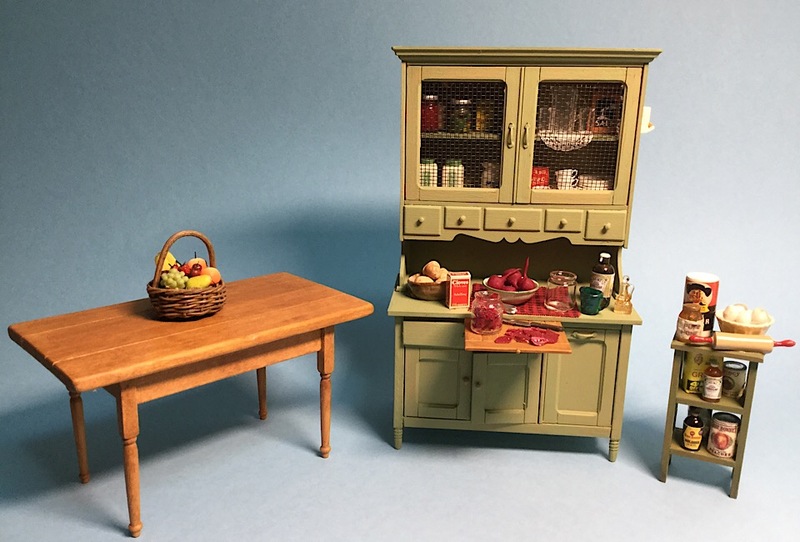 If there is something you want for your dollhouse and can't find it, contact us with the particulars and we'll try to find it for you. And check out our Ebay store too for even more great miniature finds. Miniaturists live in "our own little world", they know us there !! Thank you for stopping in and enjoy your visit shopping for the special items you are looking for or the ones you didn't even know you needed!